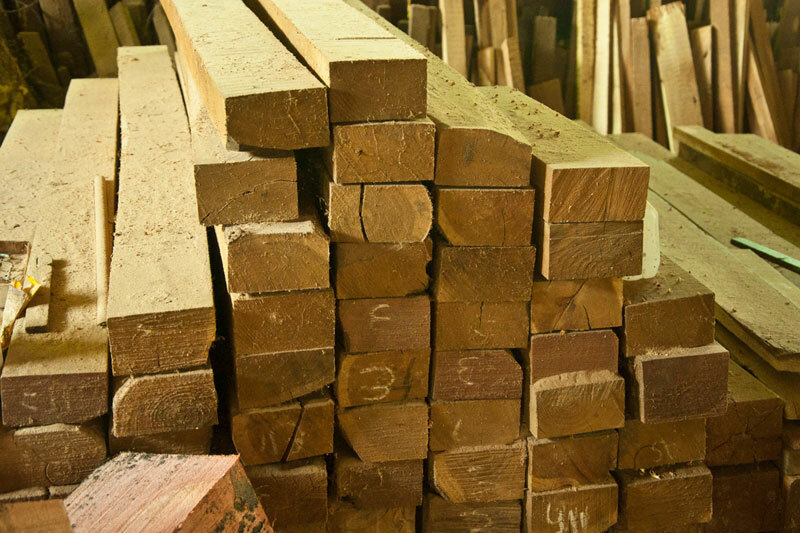 Long rectangular block is used to make neck of sitar. 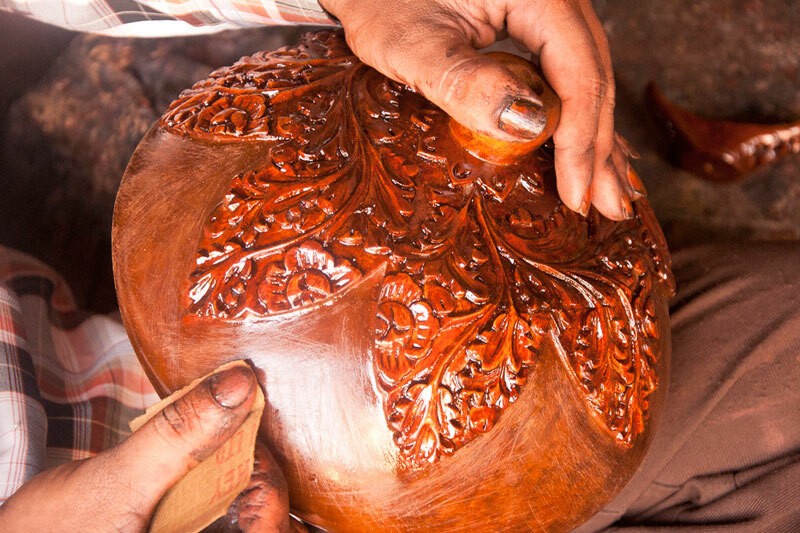 Tumba gourd is used for making resonator. 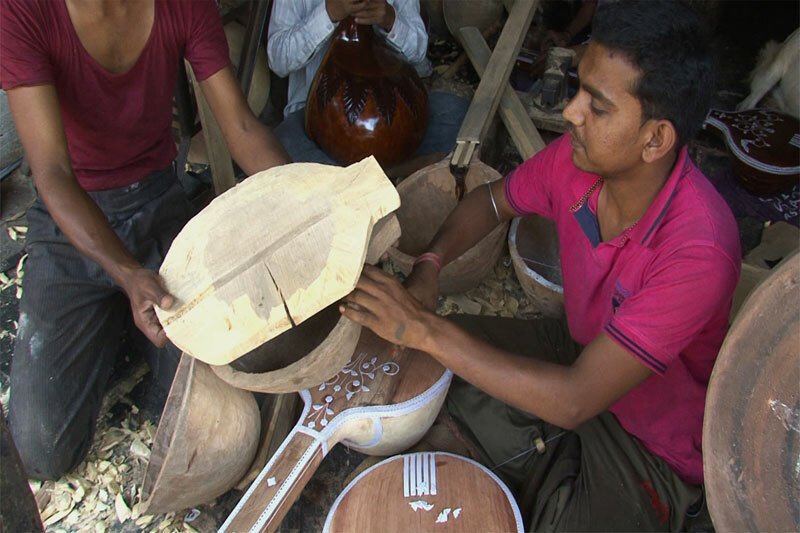 Dry gourd is cut to ¾ size, to which wooden gulu (neck of resonator) is attached. 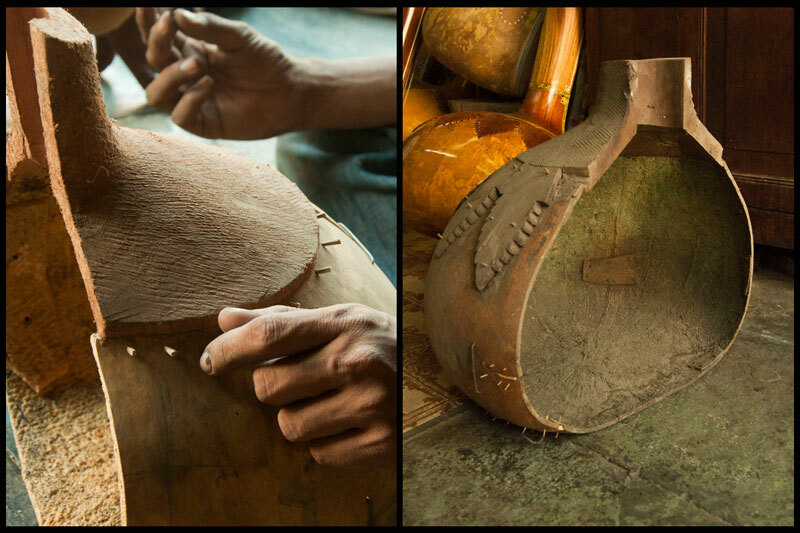 Resonator is covered with wood plate called tabli. Celluloid membrane is inlayed in the marked area. The sanding is done to remove the rough edges. 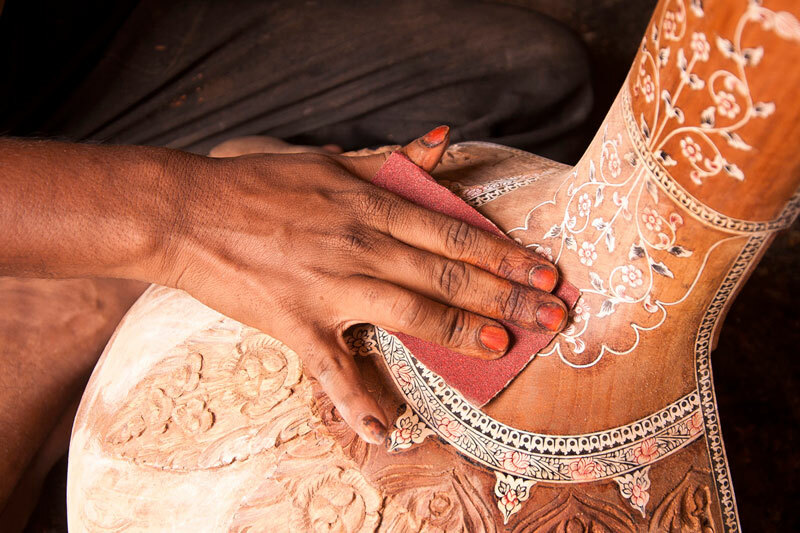 Sitar is coated with wood polish and sanded. 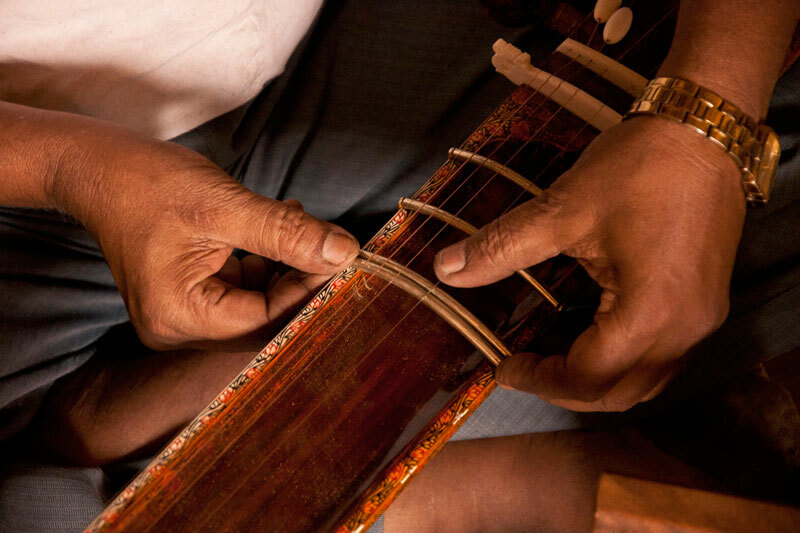 The peg is inserted at the end of the sitar on which the strings are wound. The bridge is fastened at the middle of the tabli (resonator cover). Twenty brass frets are on the fingerboard. 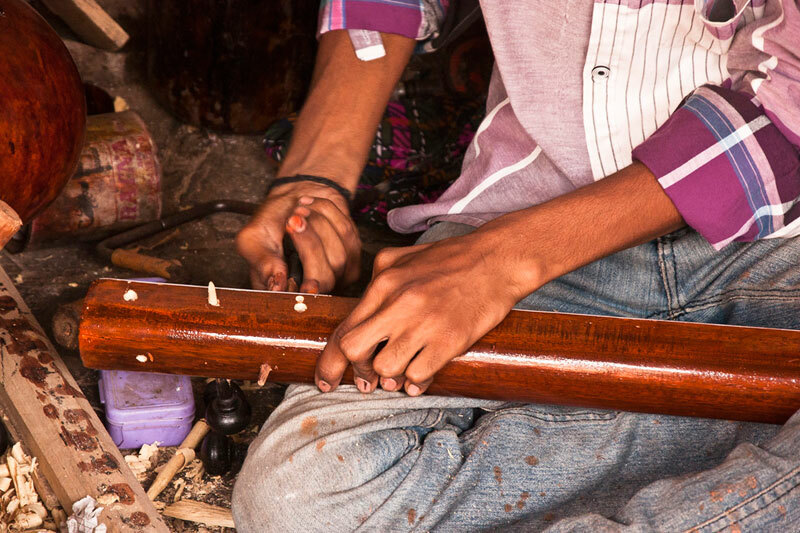 Frets are assembled with help of nylon threads (which are adjustable). 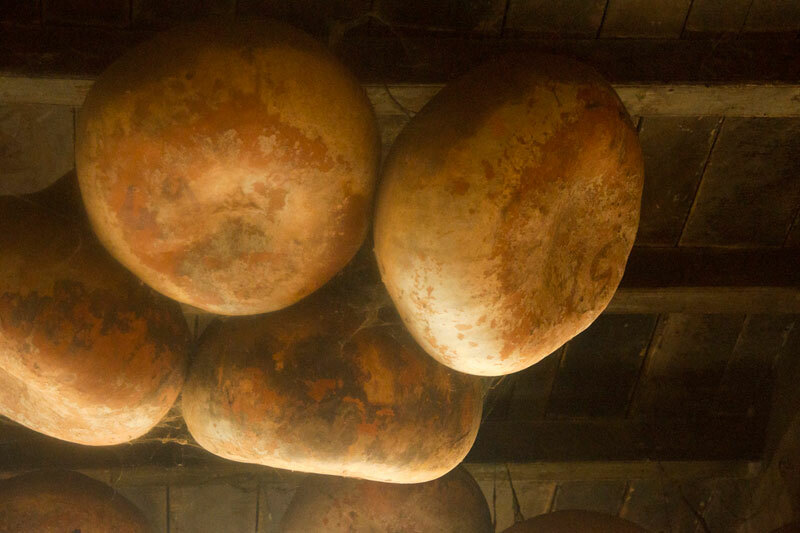 Gourd shape decides the size of sitar. 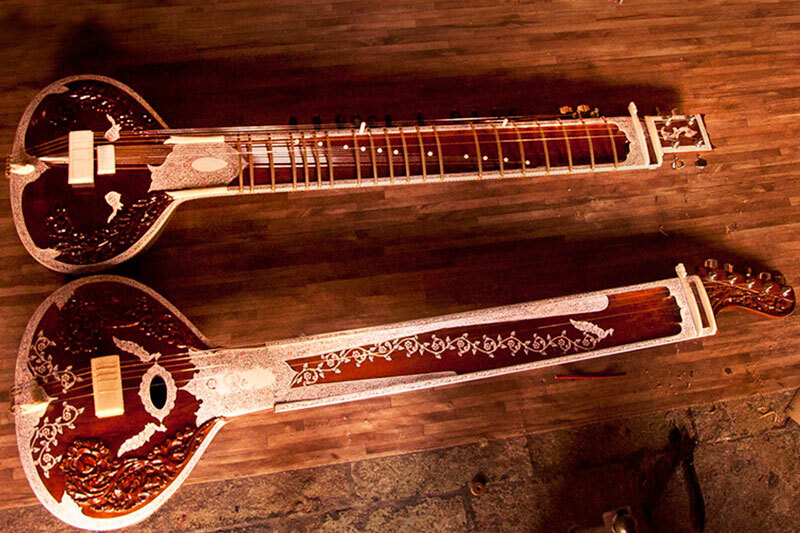 Sitar is considered to be one of the folk instruments of ancient India that occupies the place of pride in the Indian musical instruments, which is believed to be descending of the long neck lutes that came to India from central Asia. 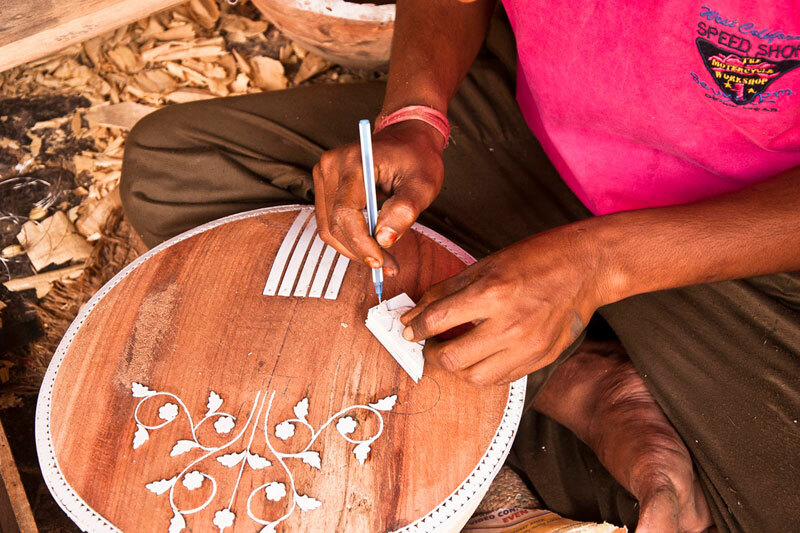 Miraj is the city located at the southern part of Maharashtra gives a platform for the makers of the sitar. 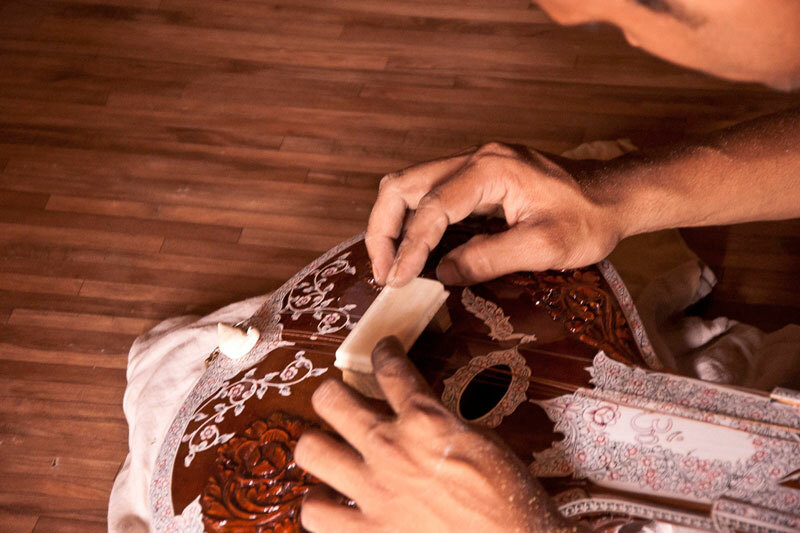 Sitar is one of the key instruments in Hindustani music with three strings, which belongs to the lute family where the strings of the instruments are parallel to its resonator and having bowed chordophone. The word sitar is taken from the Persian word sihtar that means three strings and tar from Punjabi language-meaning string. 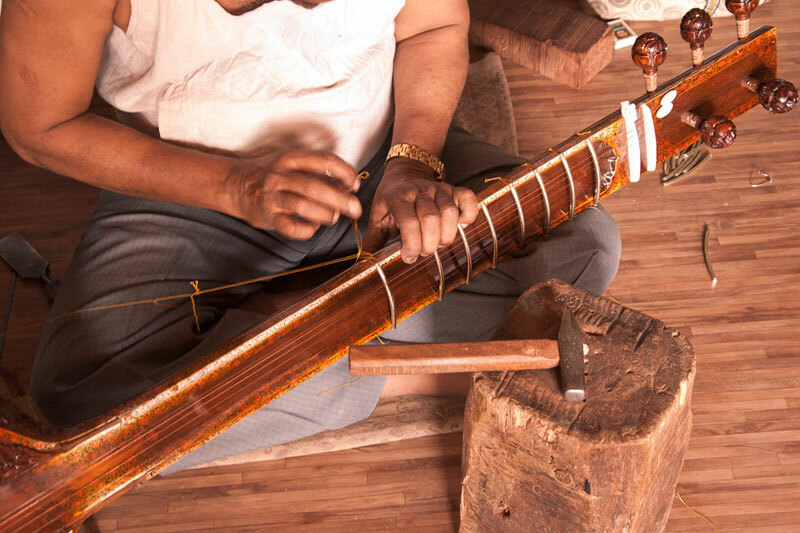 It is believed that sitar was introduced by Persians and Turks between 11th to 12th centuries in India that had only three strings and later the strings are increased due to the influence of veena.